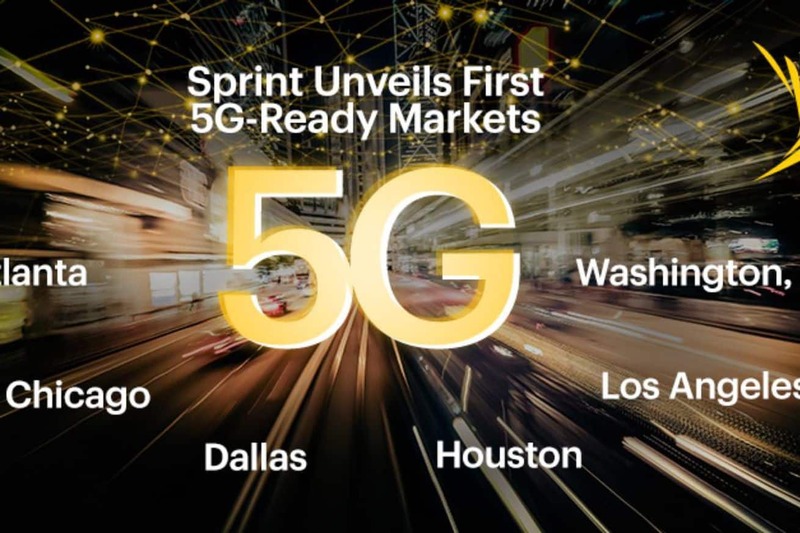 Sprint is as yet planning to launch a 5G network in 2019, and the carrier is pushing toward building a next-generation network by announcing the first six cities where it intends to roll out Massive MIMO antenna technology: Atlanta, Chicago, Dallas, Houston, Los Angeles, and Washington, DC. Presently, Massive MIMO isn’t really 5G all by itself, yet it’s an essential step toward achieving higher speeds, particularly at lower areas of the cellular spectrum. Current MIMO (Multiple Input Multiple Output) technology uses 2X2 (where two antennas are used for sending and receiving data) or 4X4 (four antennas) arrays. Massive MIMO uses significantly more: there’s a sum of 128 antennas on Sprints arrays, with 64 for transmitting and 64 for receiving, which should empower faster speeds. As per Sprint, its Massive MIMO cell sites will be capable of offering up to 10 times the capacity of current LTE systems, although, obviously, customers should perceive how things shake out in the real world once Sprint starts to roll out the new towers. The new antennas ought to facilitate rollouts of both gigabit-speed LTE and 5G networks, with the arrays offering the ability to update to 5G via software updates once Sprint actually launches the network. Furthermore, the Massive MIMO antennas will have the capacity to support split-mode service,, enabling Sprint to keep on offering both 4G LTE and 5G on a same radio once 5G does launches. Sprint is as yet anticipating launching its 5G network in the 2.5 GHz (band 41) of spectrum, and is actively working with Qualcomm (its Snapdragon X50 5G modem will support the 5G NR standard on Sprint’s 2.5 GHz band) and device manufacturers to launch 5G phones in the first half of 2019 alongside the network. Of the six cities, Sprint is rolling out the new Massive MIMO antennas first in Chicago, Dallas, and Los Angeles, with Atlanta, Houston, and Washington, DC set to begin receiving the new radios later this year.